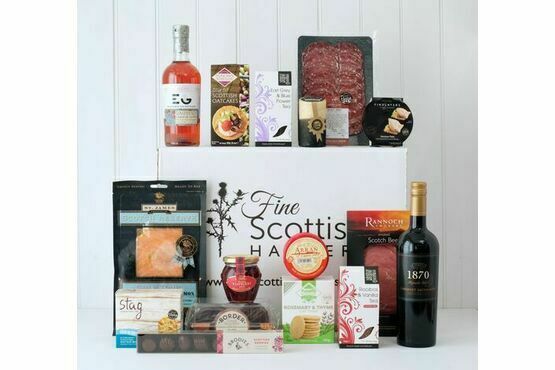 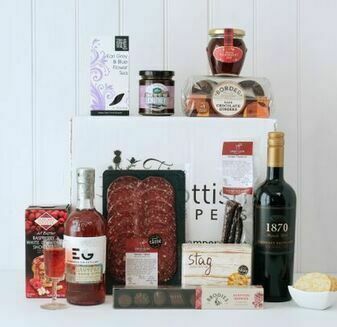 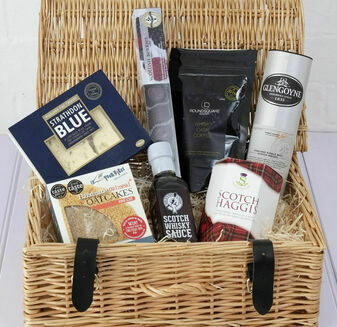 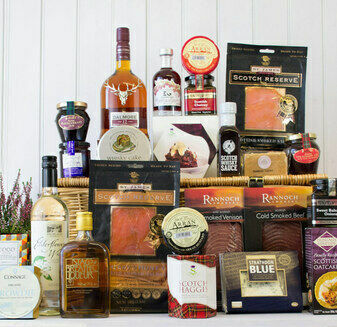 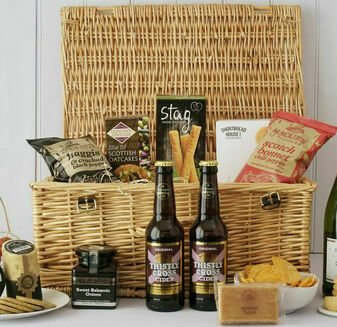 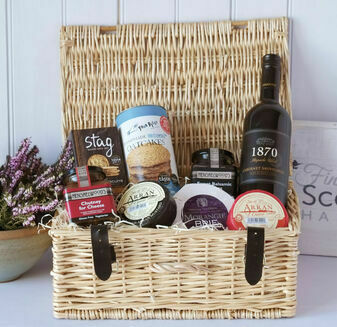 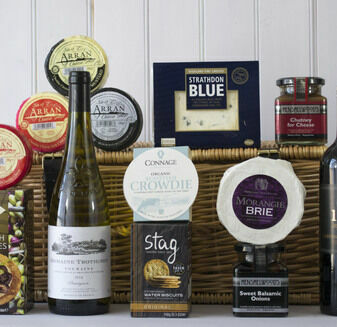 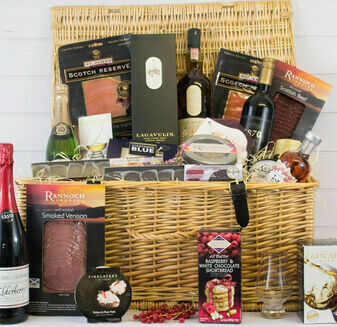 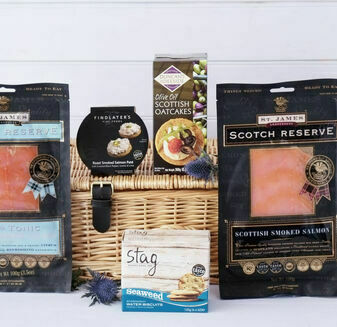 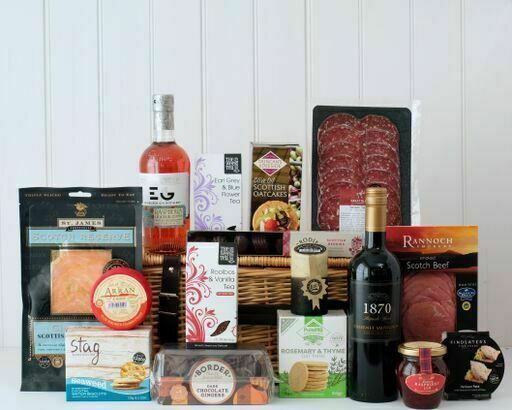 The Scottish Contemporary Feast hamper covers every Caledonian base, with 17 different items to indulge in and share. 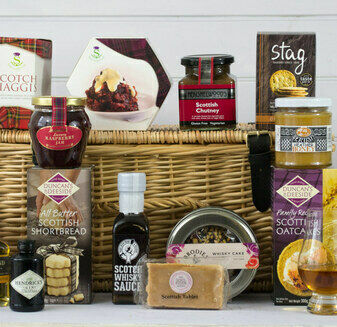 Full of amazing flavours, this hamper basket will also make a wonderful gift. 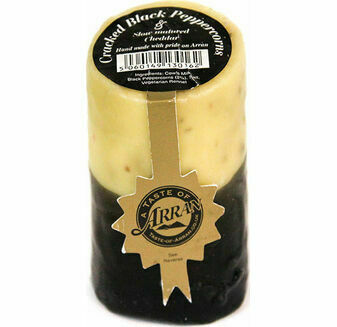 Border Dark Chocolate Gingers 175g - A delicious biscuit that can be enjoyed with a cup of tea. 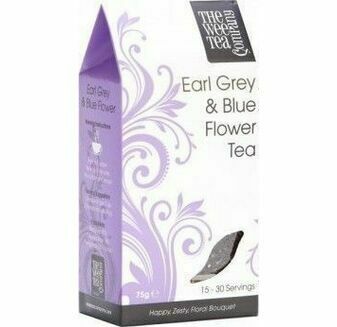 Full of intense ginger zing combined with smooth dark chocolate. 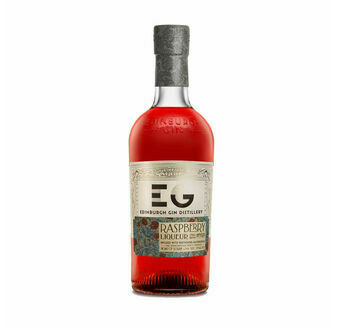 Errazuriz 1870 Mapuche Block Cabernet Sauvignon Red Wine 75cl - A dark and warm flavour with hints of blackcurrant and bramble fruit tones. 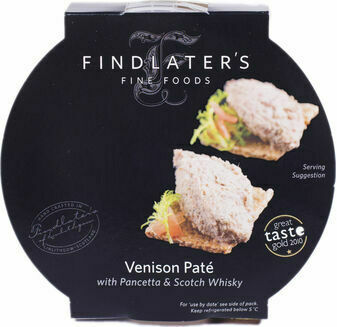 Findlater Fine Foods Venison with Pancetta & Whisky Pate 120g - A mouth-watering pate with venison, bacon and a splash of Scotch whisky. 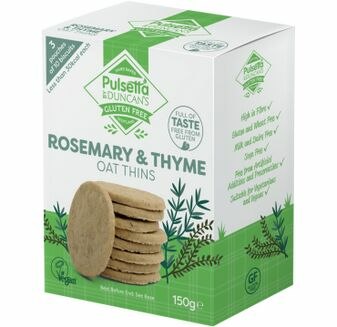 Pulsetta Rosemary & Thyme Oat Thins - Packed full of goodness, the rosemary & thyme gives you a distinct and aromatic flavour. 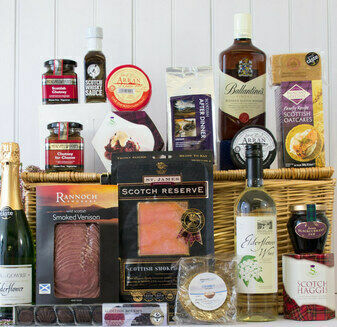 Please note that there are some changes from the main image. 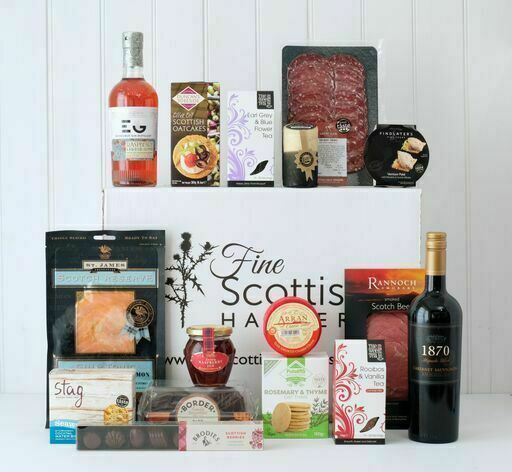 Our new image is coming soon!